Definitely, Maybe*: Spread like fire. She was holding the tiny bottle in her hand all the while thinking of him . He would come he had said , he promised to come . She had to be on stage in two minutes. Tears were falling from her eyes now. She wanted to see him in the crowd cheering for her , smiling at her , encouraging her but he wouldn't come . Things were different now. She wished he did , but he wouldn't. Didn't think I'd turn around to say. She walked on stage as her cue was called. She had to laugh , laugh like it was the happiest day of her life but her insides cried . She longed for him and the pain was numbing her from within. The pain of not having him around , not being able to hug him and not being able to speak to him killed her everyday. But that's nothing new . As the curtains shut so did her eyes. The poison had done its job , she was going to be with him now. In a happy place , in his arms with his lips touching hers. She's be happy there . 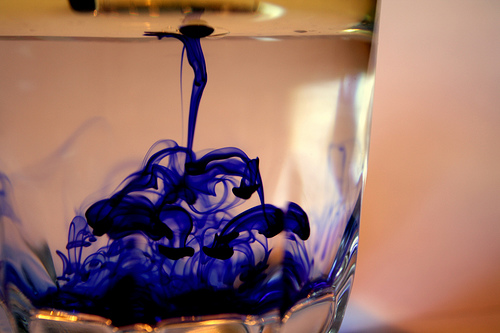 He was a part of her soul like the dye in clear water, she was taking him with her. Loved the simplicity.And the song is my all time favorite!Maybe it had something to do with the fact that one of my favorite Gossip girl episodes closed with it.I've taken up this Fantabulous February challenge too though I don't know how long I'll be able to keep up.It's a busy month but I'll try my best.Following you right up.And apart from the last part,your post evoked a sense of deja vu...been there done that. Gossip girl uses epic songs in perfect place . True story . Balloons . Eh , What ? You came along , just like a song. This work by Nirali Naik is licensed under a Creative Commons Attribution-NonCommercial-ShareAlike 3.0 Unported License.